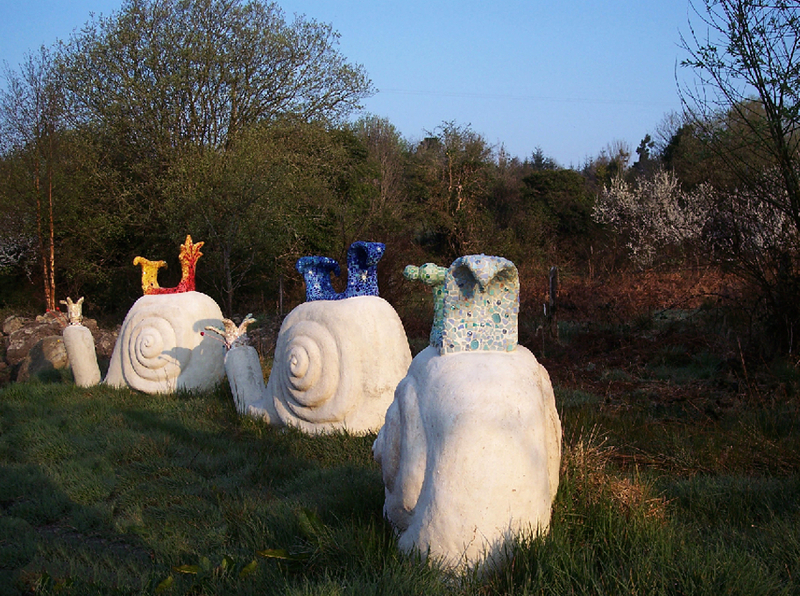 sadhbh o neill » Three Snails. 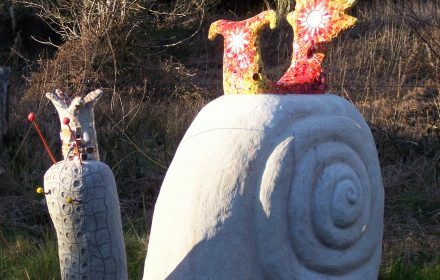 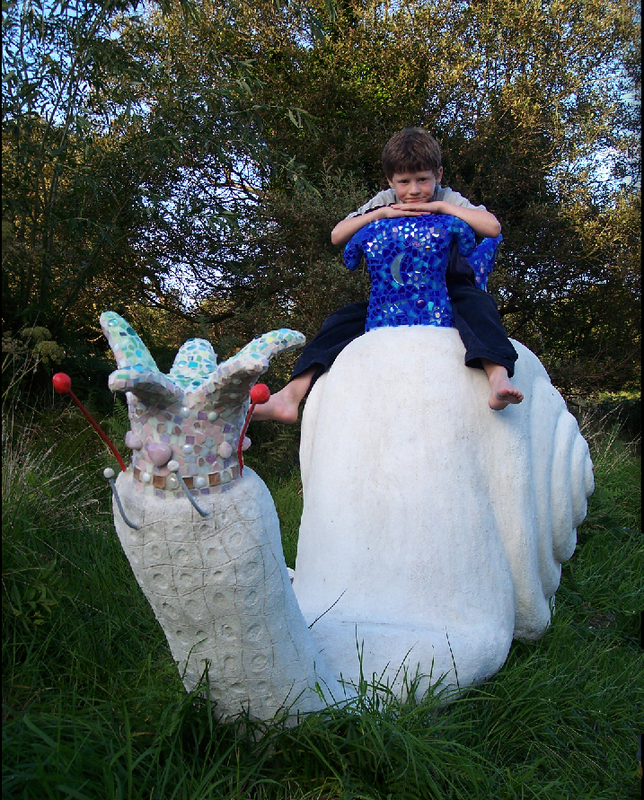 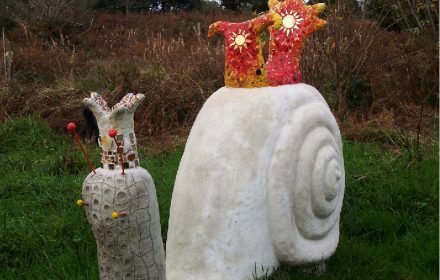 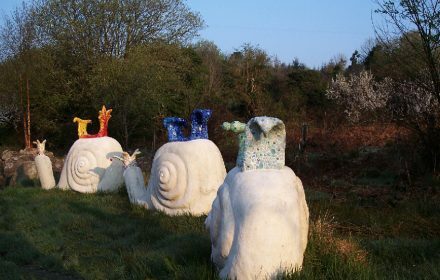 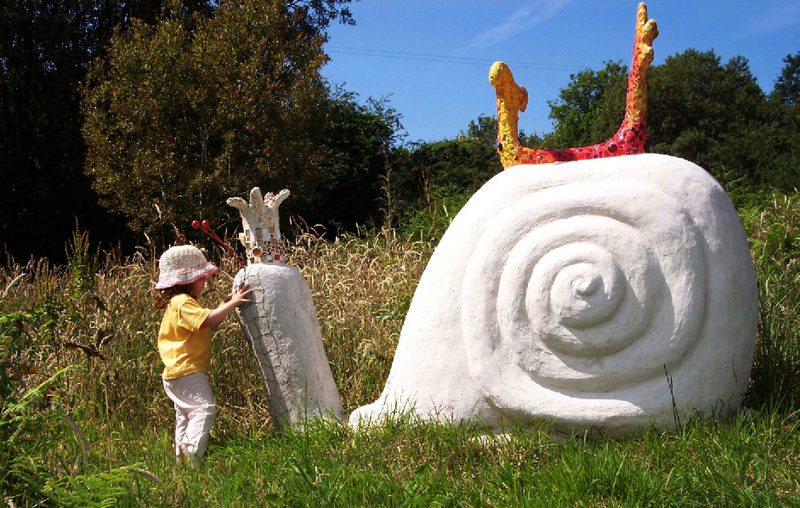 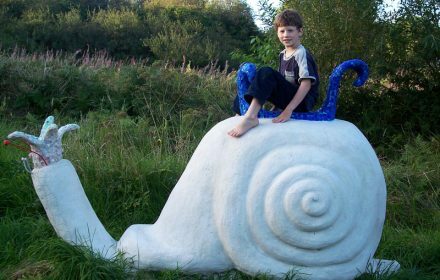 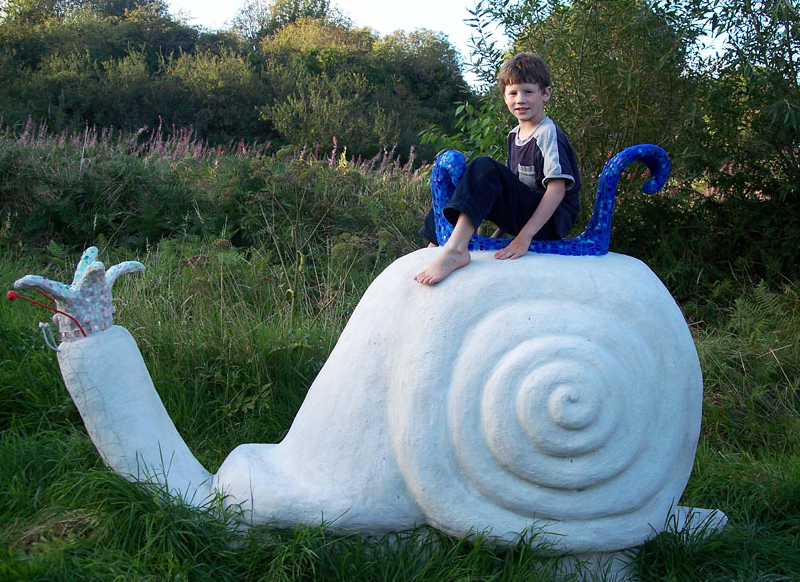 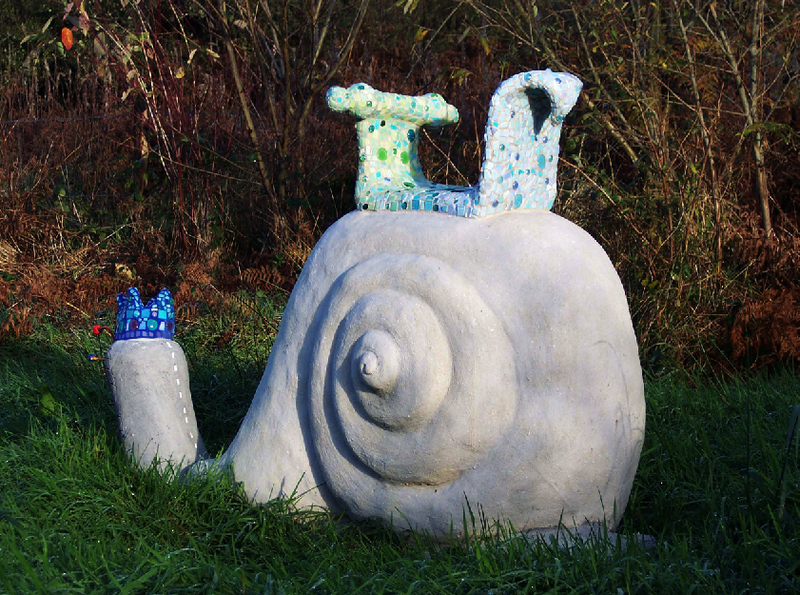 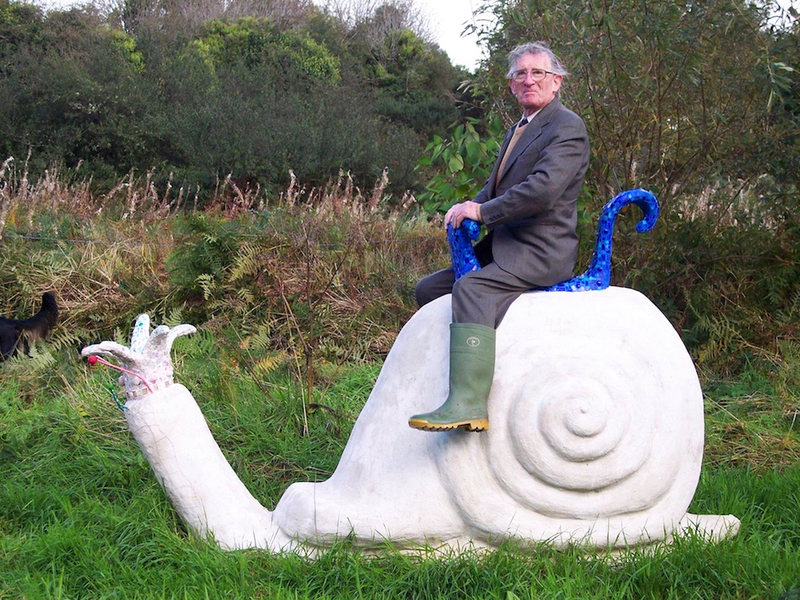 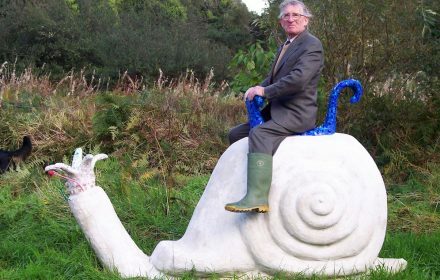 Three Snails was commissioned in 2007. 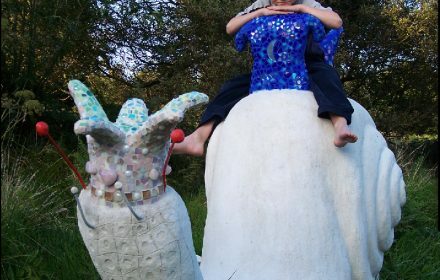 They are concrete sculptures with mosaic saddles and crowns. 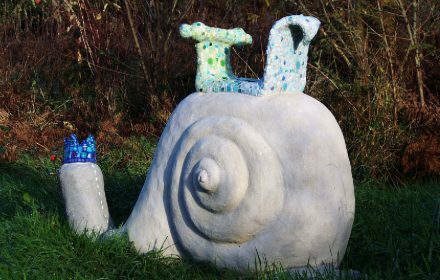 They are 1.3o meter in height. 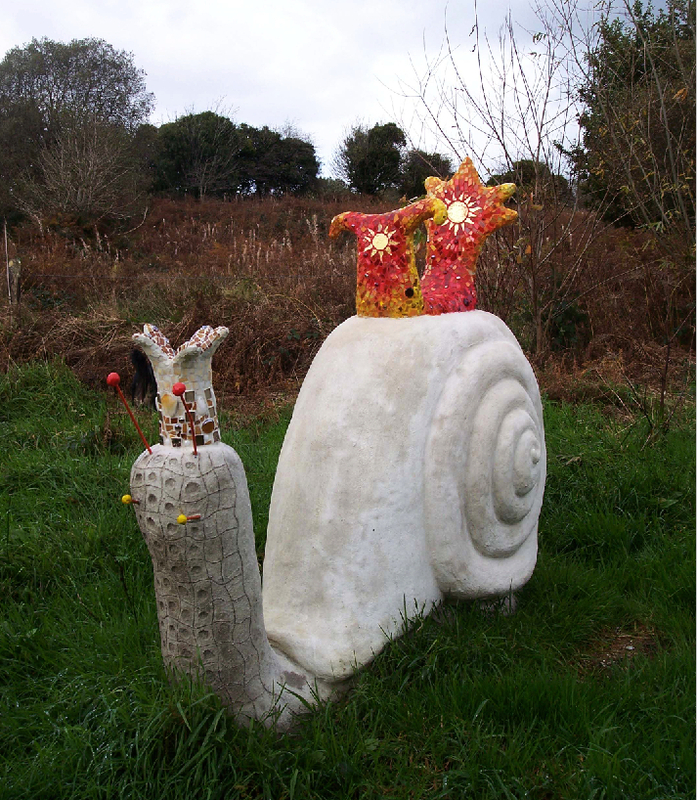 Three Snails in the Autumn. 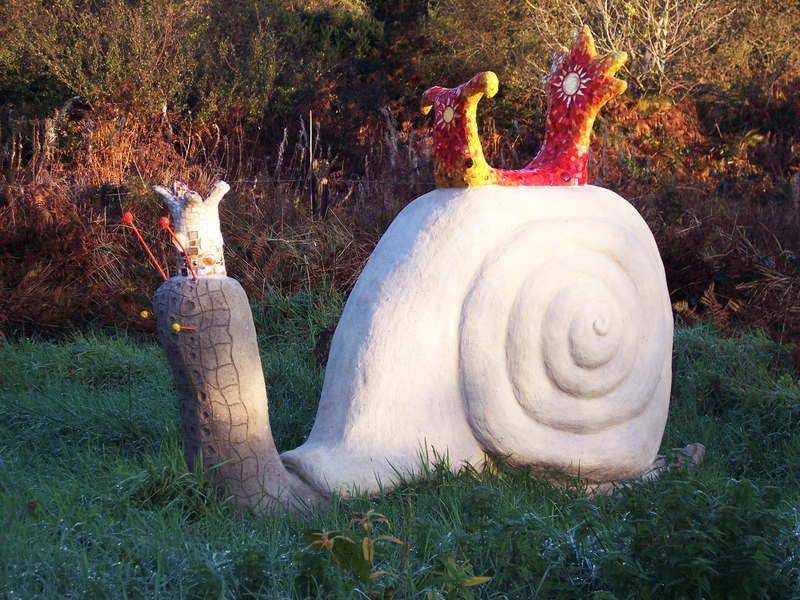 Sun Snail in the Autumn. Sun Snail and Little Girl.